It's been some time since we've had a multi-blogger review! If there is something we love more than anything, it's when Disney Pictures or Pixar Animation create a smash hit that we all fall in love with. Take a gander at what some of our lovely ladies had to say about Pixar Animation's Inside Out. In Inside Out, the geniuses at Pixar take us behind the scenes in the mind of a tween girl named Riley. Joy, Sadness, Disgust, Fear and Anger. Inside Out was directed by Pete Docter. You know his work from Up. Inside Out is every bit as emotional, raw and entertaining as Up. As we explored all the islands of Riley's personality I experienced Joy, Disgust, Fear, Anger and a ton of Sadness. I'm not so sure I was as sad as I was melancholy. The film evoked for me the same feelings as Andy leaving for college in Toy Story 3. 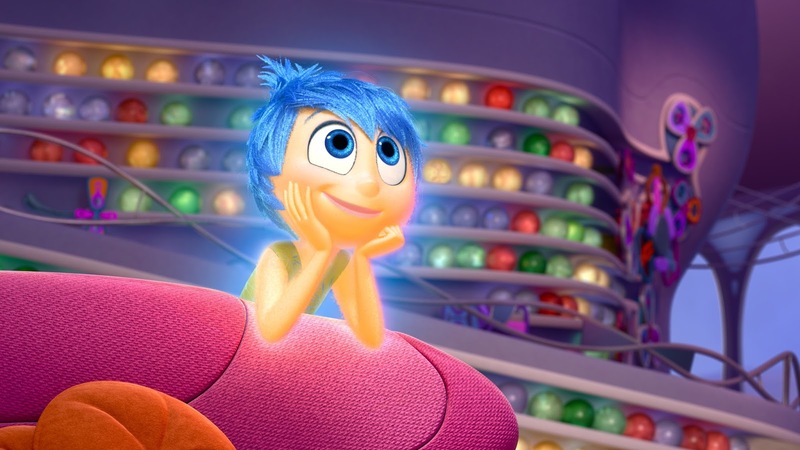 Inside Out shows us that Joy cannot exist in a bubble. We all have Sadness in our lives even at happy times. It is always present. This can stir up Anger, Fear and Disgust. Each of our emotions plays upon all the others like a well practiced orchestra. I went into Inside Out very excited to try to catch all the Easter eggs that are always planted throughout Pixar films. There are tons, but I only caught two. I kept missing the Pizza Planet truck because my eyes were filled with tears. Tears of Joy, Sadness, Disgust, Anger and Fear....mostly the Fear that every scene might be the last. Run don't walk to Inside Out! A special shout out to Amy Poehler who is simply a Joy in this movie! I find it hard to start describing how I feel about Inside Out without describing how incredible the folks over at Pixar are. Each time I watch one of their films I am completely engrossed in the film and find myself living vicariously through the characters on screen. (Read: I’m a baby and have tears in my eyes the majority of the time.) Inside Out is a prime example of the story telling genius that is Pixar. At no point is there time to question the plot or get bored because there is always something to laugh at or empathize with. My biggest take-away from Inside Out comes from "Joy." Pixar sends such a powerful message by showing that life is not perfect. The beauty in life shines once you embrace life's moments for what they are. After the film my movie kiddos and I played a game where we all guessed who everyone’s prime emotion was. I suggest you play this game with your kids because the honest insight they’ll provide to you each other is worth the laugh. I was told I am Joy, unless I'm hungry in which case I am Anger. Needless to say, I'm going to practice happy snacking. So Disney loves, any tips are welcome! 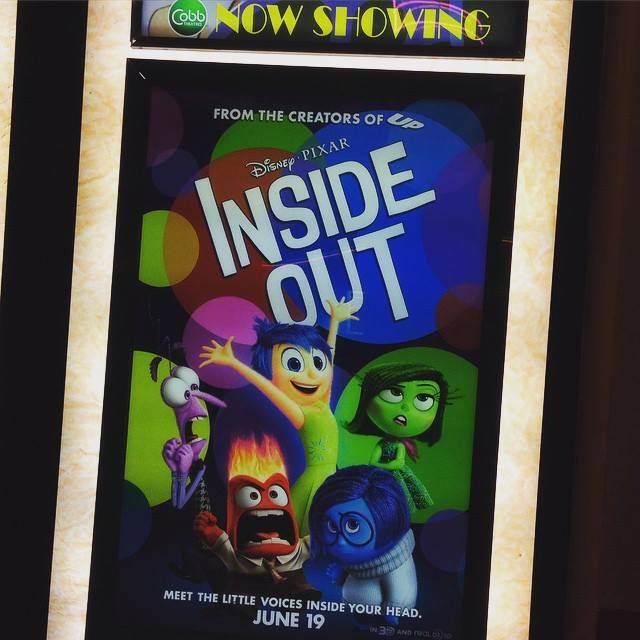 I'm so excited that I got to see Pixar Animation's Inside Out this weekend. While at the 2013 D23 Convention, Pete Doctor had talked about how excited he was for the film and how many changes it had gone through since the film's conception. I had always thought it was an interesting idea to see how we all work. Jokingly, I considered it to be a homage to the old EPCOT attraction Cranium Command. The film itself took a lot of effort to really teach us about our thought process and memory function. They did this effortlessly without making it feel like we were watching pre-school programming. They found a way to convey concepts some college grads still have a hard time with understanding without getting over technical. That is powerful. I also loved that it showed us that we can show each emotion and not be afraid to do so. There is a moment for every feeling you have. Sometimes, you need to show those emotions, instead of hiding them. Growing up is another big part of Inside Out. I think the only moment I really felt a surge of emotion was when the mind workers were clearing out Imagination Land and when Joy and Bing Bong are trying to escape the Subconcious. That moment was where the surge of emotion totally took over (I won't spoil what happens....but you'll probably react the same way I did). And if these glowing reviews aren't enough of a push to go see the film, check out Inside Out's awesome trailer! !